Looking for an interactive activity to engage your participants? 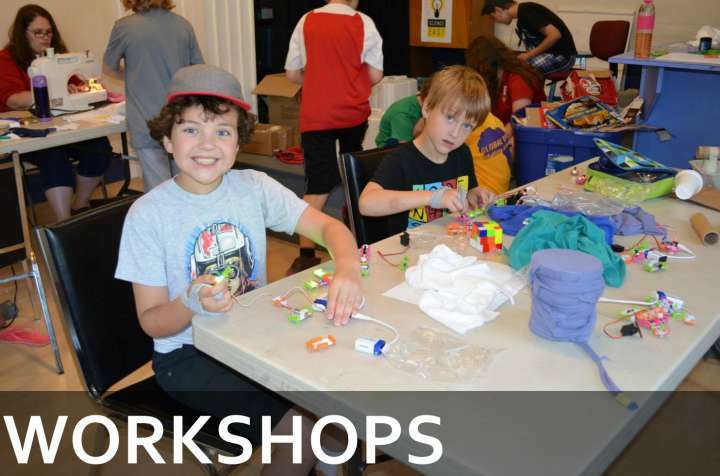 These hands-on workshops address specific learning outcomes from the New Brunswick Science Curriculum, while providing participants with a fun and memorable experience! For additional options, please contact Science East directly. Inquiry-based activities are approximately 45 minutes long; programs at Science East receive an additional 30 minutes of science centre exploration time. Maximum one class per 45 minute block. Off-site visits are subject to additional travel expenses. OUR SENSES: Flex your senses to discover and navigate the world around you. OUR ENVIRONMENT: Dissect owl pellets to see how owls meet their needs. INVISIBLE FORCES (Skills) : Use a fair test and choose the right material to make this a hair-raising experience. STRUCTURES (Skills): Students discover their engineering skills with Science East’s own building challenge! HABITATS: Dissect owl pellets to see how owls meet their needs and learn about the role owls and their food play in their habitat. ROCKS, MINERALS AND EROSION: Dig for chocolate chips while learning about both the positive and negative effects of mining. SOUND (Skills): Decibel meters help students determine which materials propagate and which dampen sound waves. PROPERTIES AND CHANGES: Use the power of solids, liquids and gases to make a little bang or a big bang. SIMPLE MACHINES: Explore how simple machines make certain tasks easier by testing them out in different scenarios. FLIGHT: Govern the forces of flight and soar with this plane fabricating contest. DIVERSITY OF LIFE: Generate a population of organisms that will evolve in response to natural selection. ELECTRICITY (Skills): Students lean how to harness the power of the wind by designing, building and testing model windmills. Grade 7 MIXTURES AND SOLUTIONS: Combine different chemicals and create various solutions with interesting effects. EARTH'S CRUST (Skills): Discover how remote sensing techniques are used to map out the Earth's Crust. Map out the contents of a box without looking inside using remote sensing techniques. FLUIDS (Skills): Use the power of fluids to design and build a pneumatic contraption. HEAT (Skills): Learn how infrared technology is used to map and characterize areas remotely.